Photo: KGZ Fougstedt – Kem Ljungquist (4-0, 2 KOs) will meet Finland’s Gennadi Mentsikainen (5-2, 4 KOs) in a six-round contest on the undercard of Dina Thorslund’s WBO Female World Super Bantamweight title fight with Yessica Munoz on August 25 at the Struer Energi Park. 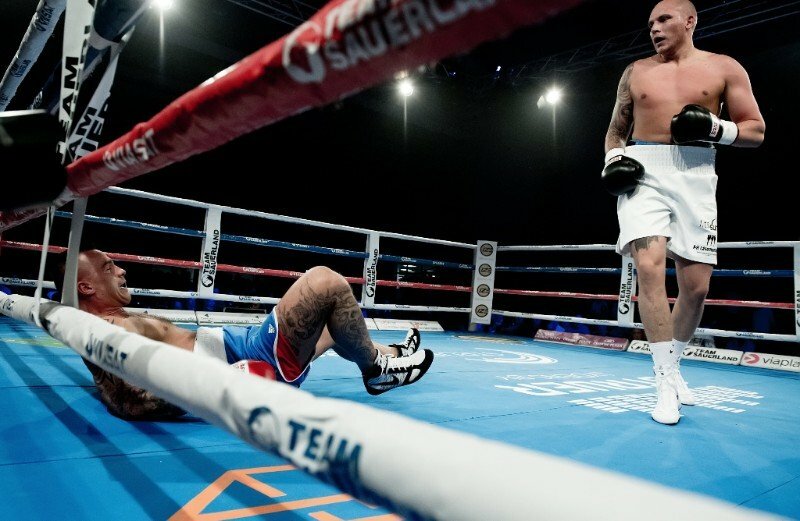 Ljungquist will box for a second time in Struer following the second-round KO of Frantisek Kohout in March. A career best performance for the former three-time national and two-time Nordic champion, who is successfully transitioning into the professional ranks. “Last time in Struer, there was a great atmosphere,” said the 27 year-old. “There was an energy in the crowd that I could use in the ring, and I think that showed in my performance. “I’m going to repeat that success when I return to Struer on August 25. People can expect a fierce Kem making an entertaining and exciting fight that will end when I stop my opponent. My punching power is enough to shake anyone out there! “I’m still adapting from an amateur to a professional, but I feel that I’m getting stronger and stronger with every fight. My boxing is getting more and more explosive, and I don’t have to worry if a fight goes the distance because I know I’m in good shape. Tickets for the WBO Female World Super Bantamweight Championship contest between Dina Thorslund and Yessica Munoz on August 25 at the Struer Energi Park are on sale now and available via www.ticketmaster.dk or by calling (+45) 70 15 65 65.